We all have different tastes in furniture, but one thing we can all agree on is that we love furniture that is well made and has a look that we will love for many years to come. After all, furniture is expensive, and it is not good if we get something that we aren’t going to still love in a year or so and end up getting something different later. If you want to get timeless, classic furniture pieces that are made of the finest hardwoods, you should take a look at Amish furniture. Amish home decorating has been popular for a long time, and more and more people are turning to this furniture because it is so well made and beautiful. Why Choose an Amish Home Decorating Scheme? When you decide to have an Amish home decorating scheme, you will have many options. You are not necessarily limited to one style of decorating because the designs of many Amish pieces are classic and will go with just about any type of décor. Whether you are looking for furniture that will grow with your children and be able to take any abuse they can throw at it or you want to have an elegant dining set, you can create a beautiful Amish home decorating plan that will work in any room. No matter what room or rooms you want to furnish, you can find everything you need for your Amish home decorating theme at Amish Originals Furniture Co. 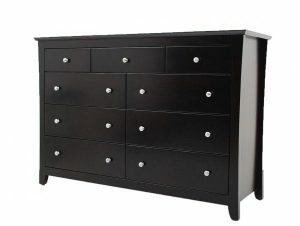 Check out the awesome bedroom sets or the living room furniture that is as comfortable and durable as it is beautiful. If you have a home office, you can find everything you need to furnish it so that it is comfortable yet professional looking. Whatever your home furnishing needs, Amish wooden furniture should be your first choice. Do not forget to check out the many great storage ideas too, so you don’t have to live out of boxes and bins. Once you have chosen everything you want for your Amish home decorating scheme, you can choose to bring it home yourself or have it delivered. There is a basic delivery fee for anyone living within 20 miles of the store, and an additional charge for customers who live farther away. Having the option to have your purchases delivered is great because if you are busy or unable to do any heavy lifting yourself, you can have professionals do it for you. There is nothing like coming home and curling up in a favorite comfy chair or sofa, and when you have an Amish made sofa and other furniture, you will want to spend a lot of time at home with your family. Take a look at the furniture available at Amish Originals Furniture Co., either online or at the showroom, and bring home the furniture that you will love for a long, long time. In fact, you will probably end up passing it down, because it is going to still look great 50 years from now.